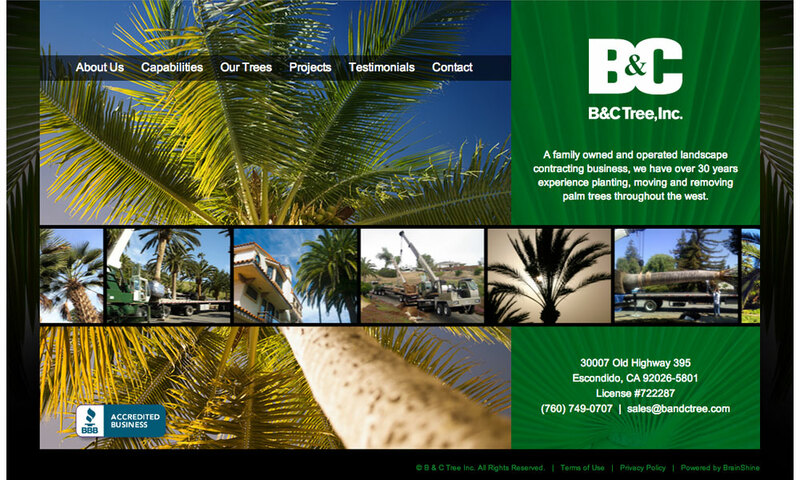 B & C Tree specializes in palm tree installation, relocation and removal. 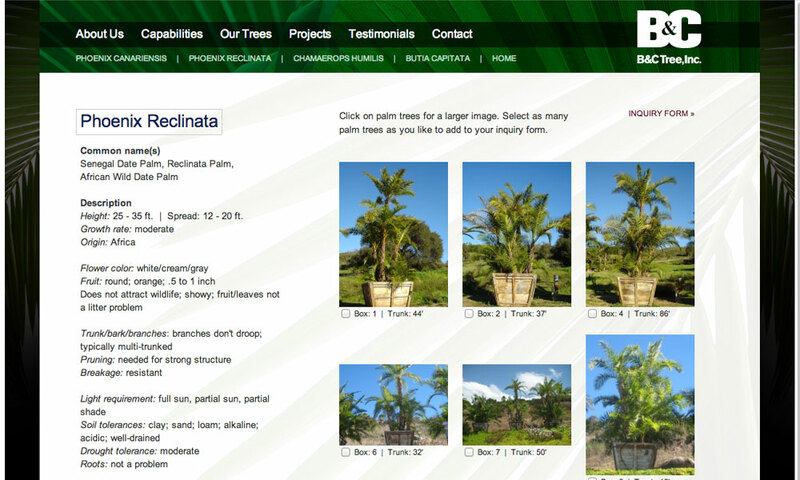 They are also a grower and have an extensive stock of trees ready for purchase. 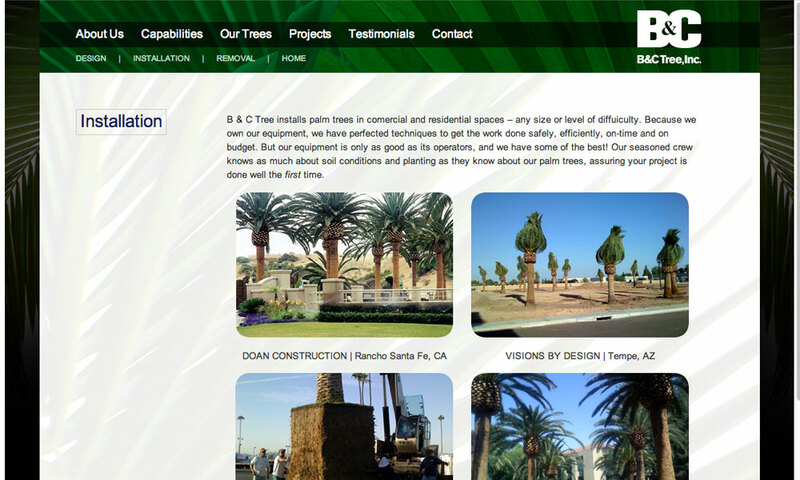 To showcase their abilities, BrainShine relied on company photos from various projects to highlight the unique challenges B & C faced. 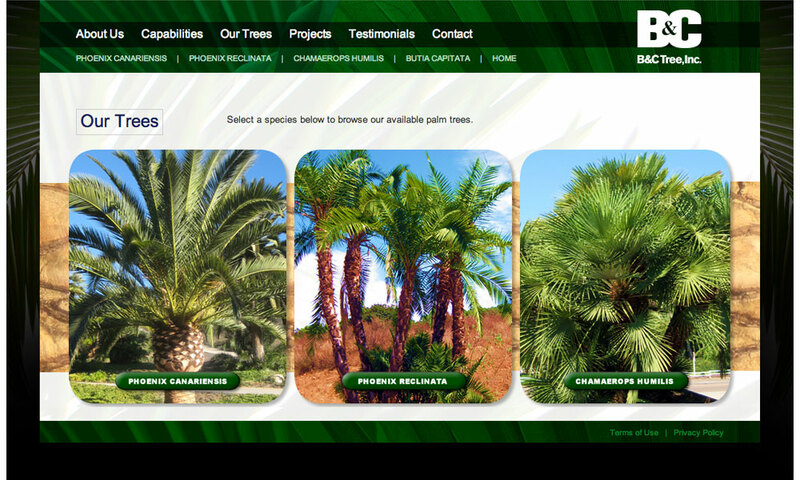 There is also extensive information about the 3 varieties of palms grown at their facility. And finally, BrainShine built a robust admin to allow B & C to update their inventory which then dynamically displays on the site. 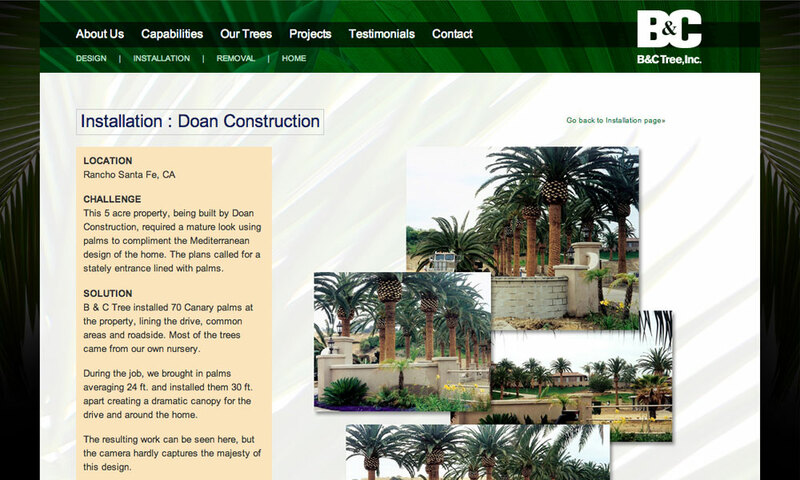 We also provided research and copywriting services, custom CMS and an intricate contact form that allows users to add images and info on stock trees to their inquiry.